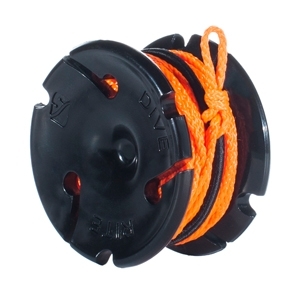 THE PERFECT SPOOL FOR SHORT JUMPS IN OVERHEAD ENVIRONMENTS. Having a continuous line to the surface is essential for safe overhead environment diving. Jumping from one line to another requires a gap line to connect the two lines and the Cookie Spool makes that quick and easy. A compact, finger spool at only 58mm (2.3") with 9.1m (30') of #24 braided line, the Cookie Spool packs easily into a pocket and deploys with ease to gap a line. 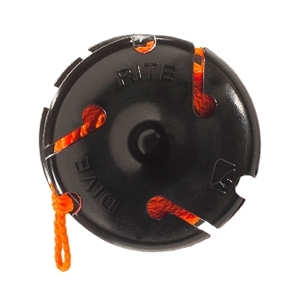 Uniquely only to the Cookie Spool, it attaches and locks to the line quickly with notches on the spool that are similar to the notches on a line arrow or line cookie. The notches lock the spool into the line without the need for additional hardware. With the Cookie Spool, connecting two lines together couldn’t be easier and knowing that it’s locked in place gives you that secure feeling.